With the basic suite of a floating line, a clear intermediate and a fast sinking type V line in your kit bag, there are other fly lines worth adding. If possible, add a second floating line. Rigging a rod with a second floating line allows quick changes from an indicator to long leader, or to ‘naked’ presentation as conditions, fish location and personal preferences change. I prefer RIO lines and I have an In Touch Indicator line that serves well as a primary line for indicator and long leader presentations. My second choice of floating line is either an In Touch RIO Grand or Perception line. 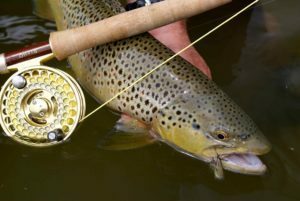 Both are excellent long-leader lines, as well as great choices for targeting surface-feeding trout using dry or emerger patterns. However, the Indicator line doesn’t do a good job turning over dries or emergers due to its aggressive front taper. 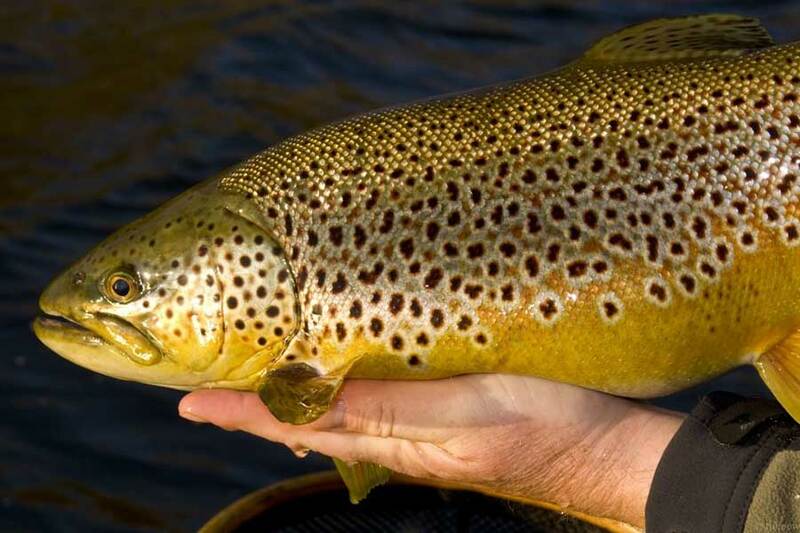 Although most Parklands presentations are subsurface, there are occasions when trout feed at the surface. When the wind drops and the water becomes flat calm during the low light hours of morning or evening or when overcast skies block the sun, a second floating line such as the RIO Grand or Perception pays huge dividends. In addition to a type V full-sinking line, it is advisable to round out your sinking line selection with other sink rates including type III and type VII lines. 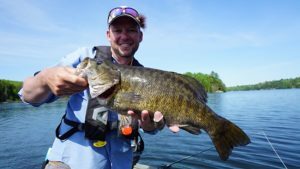 The type III line sinks at roughly three inches per second (slightly slower than the type V) and is a great choice when casting and trolling in water between eight to ten feet deep. Type VII lines plummet, approximately seven inches per second and are ideal when fishing buoyant attractors such as a Booby over deep water. Attractor patterns, such as the Booby, trigger aggressive responses when fish are unresponsive to slower, natural presentations. When the wind is up it creates strong circulation currents. When dangling in these conditions, because the type VII sinks faster than any other sinking line, it slices through the natural drift allowing superior control, enabling you to keep your flies near the bottom where the majority of dangling takes occur. The Midge Tip is a floating line with a one metre (39”) clear intermediate tip. When imitating chironomid pupa in windy conditions, surface chop wreaks havoc on floating lines and long leader presentations, as line bounce transfers an unnatural action to the fly. The clear intermediate tip of the Midge Tip anchors the line and leader in such conditions, allowing you to remain ‘in touch’ with your flies and hook fish that might have been missed if you were using a floating line. The Midge Tip is also a fantastic, underrated, shallow water line. 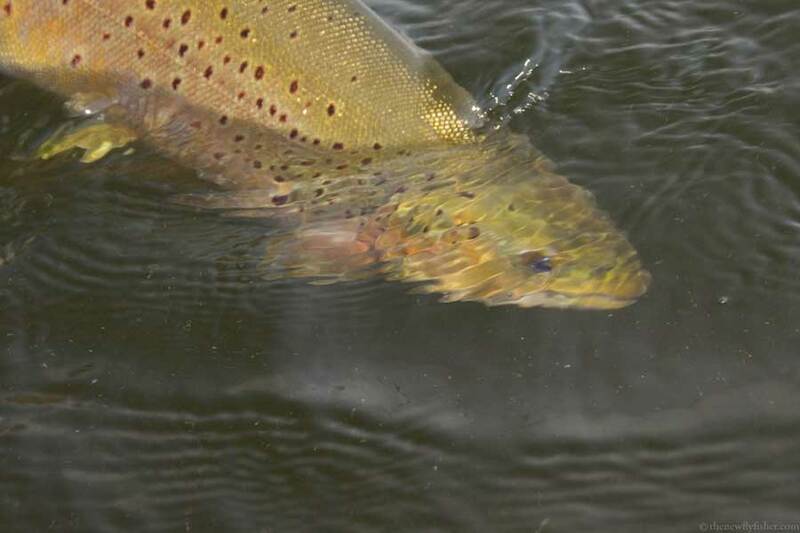 When trout prowl the shallows chasing minnows, emerging damsel or mayfly nymphs, the floating line portion of the Midge Tip allows for quick pick-ups to cover moving fish feeding one to three feet below the surface. Midge Tips are also an excellent choice for the washing line presentation, which involves using a buoyant fly on the point to hold up or suspend a regular fly on a dropper. 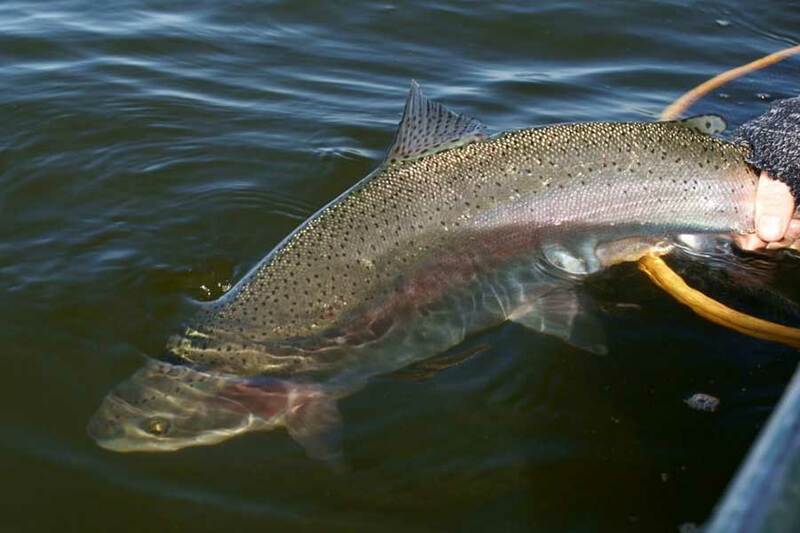 During the fall months, Parklands trout chase minnows along the margins or water boatman and backswimmers at the surface. The washing line keeps your flies in the upper zone where fish are concentrated. It is an excellent technique that works on all line types, from floating to fast sinking. 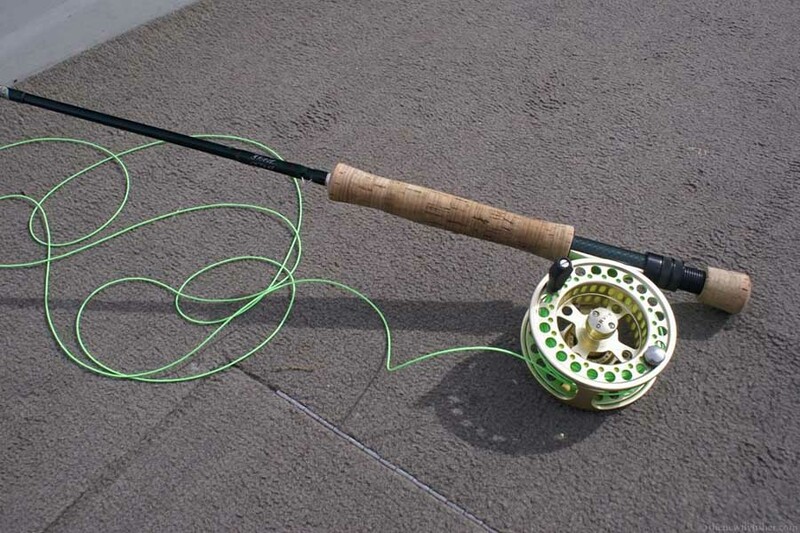 One of the most underrated and versatile lines available to the stillwater fly fisher is the hover. Slower than a clear intermediate, the hover line sinks at a paltry 1-inch per second, which is its primary attraction. It is an excellent shallow water line for presenting leeches, damsel nymphs, scuds and, during the fall months, water boatman and backswimmers. 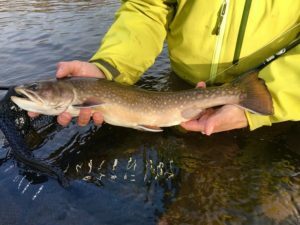 Similarly, when trout are herding and attacking minnows in the shallows or in and around beaver lodges, the hover line’s slow sink rate, coupled with the horizontal presentation it enables, makes it an ideal choice. 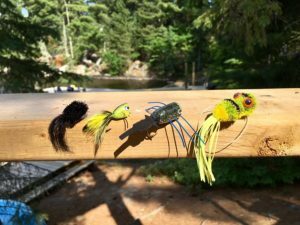 The hover is also an excellent chironomid line, especially when the wind is up, as casting indicators or long leaders in windy conditions can be problematic. Wind-induced surface chop can also negatively affect your success rate, as it pitches flies unnaturally when they are suspended below an indicator. Using floating lines and long leaders in these conditions often results in the wind-induced current pulling the flies up out of the feeding zone. The hover does a wonderful job mitigating these challenges, slicing through the surface chop enabling you to stay in touch with your flies. When using the hover during chironomid emergences, make as long a cast as you comfortably can and allow the line and flies to sink. Sink times with this method are longer than when using floating lines and long leaders, due to the retarded sink rate of the line. When fishing floating lines and long leaders a 30 second count is my standard sink time, but hover lines dictate 90 second sink times or longer. Due to the non-density-compensated nature of the hover line, the flies tend to sweep through the water covering a wide depth range. It is important to gauge where you get a take to determine where the fish are in the water. Takes early in the retrieve indicate fish are higher up. 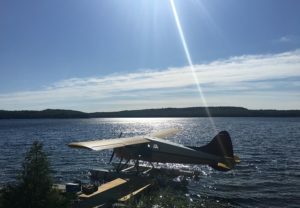 Conversely, takes late in the retrieve, when the flies are at their deepest, are an indication fish are near the bottom. In most instances, the latter scenario is most common. As with dangling, takes using hover lines using chironomid pupa patterns are solid, due, in part, to the short, 9-12 foot, tapered leaders and the low stretch formulation of the line. 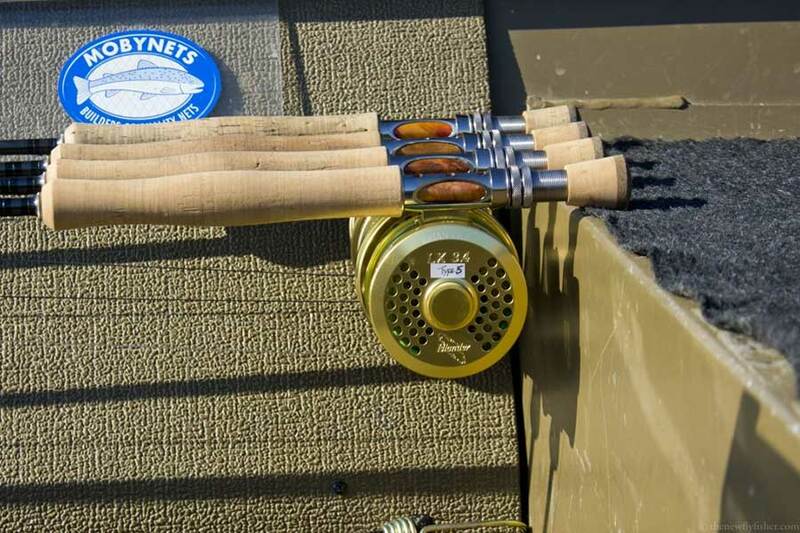 It’s always a good idea to have a versatile selection of fly lines whenever you’re on the water—I always do. This is particularly the case for a visit the Parklands. Having a comprehensive selection of lines on hand allows you the freedom to choose the right presentation technique for any conditions you might encounter, ensuring that you maximize both your time and success on the water.